From the April 19, 2004, issue of National Review. In this small book — 141 pages of text — John Lewis Gaddis assesses America’s role in the world after 9/11. His broad goal is to give readers a breather from the 24-hour news cycle, and to ask them to look instead at these traumatic events in the broad sweep of American history. The book originated as a series of lectures at the New York Public Library in 2002, and retains that style — with occasional colloquialisms and sentence fragments — but it reads well, without either pretension or forced informality. Gaddis’s first lecture is a meditation on the 19th-century background of some now-controversial concepts, including “preemption,” “unilateralism,” and “hegemony.” His intent is neither to justify nor to denigrate such policies, but rather to remind us that very similar approaches are the stuff of American history — and that their efficacy and morality usually depended on the particular historical situation in which they occurred. Andrew Jackson invaded Spanish Florida, ostensibly to stop raids and plundering across the border. American presidents simply annexed Texas and California, on the principle that such frail, embryonic republics were not viable and were thus likely to fall into the hands of other — and surely hostile — powers, which would inevitably end up threatening American security. John Quincy Adams in his rash youth proclaimed that the U.S. should disconnect from “all European interests and politics. ” Most landmark American initiatives that followed — from Washington’s Farewell Address and the Monroe Doctrine to John Hay’s Open Door Policy in China and America’s “associated” role in World War I — were in the same spirit. Compared with what most others in Europe were doing at the time, our go-it-alone stance served the country, and often the world, pretty well. Gaddis reminds us of the moral ambiguity of many of these acts: It was, for example, provocative to grab Texas. But would the state’s American residents in 2004 really wish to give it back and live under Mexican rule? Instead of preening in the cheap moral arrogance of the present, Gaddis asks us to walk in our ancestors’ shoes, and share their fears — and then decide whether their policies made present-day America a better or a worse place. All this is both sensible and salutary. In his second lecture, Gaddis reminds us that for much of the 20th century events overtook the old unilateral approach. Wilson talked of peace, but took us to war and then vainly tried to reconfigure the world according to his own utopian principles. Franklin Roosevelt likewise talked grandly of 19th-century isolationism, but after Pearl Harbor realized that America needed alliances and collective action to defeat the fascists. He and Truman both felt that preemption — whether against the rising Japanese of the late 1930s or, afterward, against the Soviets — would only alienate the allies that were so critically needed in the new global struggle. And in the subsequent nuclear age, such cooperation and restraint continued to make sense. In other words, 30 or so presidents of the last two centuries might find the current fury over the “new” muscular American approach of the post-9/11 era rather puzzling; different strategic needs require different responses. Cookie-cutter diplomacy and deductive moral smugness won’t serve the purpose. The third lecture brings us to the 21st century, and to yet another stage in the way we deal with security issues. After 9/11, America didn’t keep to the multilateral framework that emerged after World War II — but it didn’t revert to its original unilateralism either. Terrorist enclaves in rogue states with ready access to global technology have made the U.S. more vulnerable, even as it exercises unprecedented global military power. Gaddis is largely sympathetic to President Bush’s war against terror and to the U.S. efforts against al-Qaeda and the Taliban; he thinks most past presidents would probably have done about the same thing. He also believes that the Iraqi enterprise — with its broader implications for consensual government in the Middle East — may be the boldest American foreign-policy gambit in recent history. Yet Gaddis has his doubts about the viability of implanting democracy in a tribal culture like Iraq, further brutalized by over three decades of Baathism. He offers no real alternative (who has, really, other than the far Left with its call for unilateral withdrawal? ), but is open to the notion that a “liberal autocracy” in the manner of Singapore or Indonesia might work for a while. Perhaps even “an empire of liberty” under the aegis of the benevolently imperial United States could offer just as good an interim solution to such failed states in recovery. Rather than talking wildly of oil, Halliburton, or neoconservative conspiracies, Gaddis recognizes that addressing through occasional preemption and unilateralism the mess created by rogue societies is a prudent approach to U.S. national security. Yet we should worry a lot about nemesis: The arrogance that will inevitably arise from single-handedly setting things right will cost us lives and treasure, and inevitably offend others, generating both petty envy and justifiable concern for their own autonomy. Perhaps, he concludes, we should consider some sort of global federalism among Westernized societies, all of which have a stake in seeing the world gravitate toward liberal values. In his final lecture, Gaddis pleads for a new confidence in American values, and suggests that we follow a middle way that accepts the need to fight for those values but also to pay far more attention to how we affect others abroad. All this is a sober reflection on current events, and a needed reminder that President Bush is acting in line with a long American tradition, even if Gaddis thinks he could learn from FDR’s political savvy when it comes to getting along with allies. But there are no sweeping new proposals in this modest essay. Professor Gaddis seems to think that his call for patriotism might startle his “postmodernist” colleagues at Yale, but the general reader will find his recommendations pretty mainstream, if not at times timid. He ends the book, for example, as follows: “All of which brings me around to answering a question another of my undergraduates asked in the dark and fearful days that followed September 11th: ‘Would it be OK for us to be patriotic?’ Yes, I think it would.” Radical stuff, I guess, for Yale these days; but most students at Cal State wouldn’t have to ask and wouldn’t wait to be told. And skeptics could pose a couple of legitimate questions that Gaddis does not address. What exactly should the U.S. do when multilateral institutions and allies alike are unwilling to risk blood and money for Gaddis’s new vision of a federated world, whether in the Balkans, Afghanistan, or Iraq? How do you convince a Spanish electorate that voting to appease terrorists 72 hours after an attack is not going to provide for the future security of Europe? And was it really the U.S. that changed the Atlantic Alliance? Was it not, rather, the new Europe, no longer facing 300 Soviet divisions, that changed its attitude? Read, for example, the idiotic proclamations of European Commission president Romano Prodi, who, in the wake of the recent Spanish mass murder, assured Europe that “it is clear that using force is not the answer to resolving the conflict with terrorists.” Consider, too, France’s hostility to our “unilateralism.” When it blows up a Greenpeace ship, intervenes alone in the Ivory Coast, and sells a nuclear reactor to Saddam, France offers ample proof of its own unilateralism — and exposes its criticism of the U.S. as the product of irrational envy and arrogance. Perhaps the most recent atrocity in Spain, with promises of others to follow elsewhere, will test sorely the fuzzy European notion of U.N. solidarity and its own collective defense apart from the U.S.
Once Gaddis reaches the present era in these essays we yearn for some “shock and awe” in lieu of generalizations and feel-good platitudes. He is a fair and responsible scholar, but still, on occasion, repeats caricature. He writes, for example, that America’s new liberal empire, as envisioned by the Bush administration, will “extend democracy everywhere” by force or suasion. But I don’t see anyone in the administration seriously readying the country for intervention in Syria, Libya, or Iran. As I understand the Bush Doctrine, it is to remove only particular rogue regimes that harbor terrorists who threaten the U.S. America has in fact shown only restraint toward a Tehran, a Beirut, or a Damascus. In sum, this is not a profound book, but a sensible one. Its circumspection and even-handedness reflect well on a very learned scholar who offers us solace from our past instead of the usual melodrama about the present. 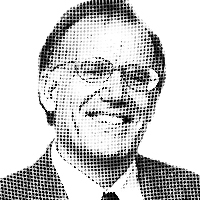 –Victor Davis Hanson is a senior fellow at the Hoover Institution, and author most recently of Between War and Peace (Random House).